Few experiences can match the pleasure of savoring a homegrown vegetable, especially if you raised it yourself from a seed or seedling. In almost every case, the flavor and texture of food you grow far exceeds the best grocery store produce. Tending a garden is also a pleasurable activity in its own right, giving you an excuse to spend time outdoors in the sun. Your first garden! Filled with excitement, the impulse to run out to the nearest nursery, load the minvan with plants, and just dig in is downright irresistible! But there are things you need to know before your get started. It doesn't have to be difficult or expensive or time-consuming, especially if you follow the advice in this guide. You'll soon discover, however, that experience really is the best teacher. As your knowledge grows, so will the rewards of this productive pastime. Sunshine: Choose a spot that gets at least 6 hours per day. Water: The closer your garden is to a source of water, the better it will be. Good soil (something between rock-hard clay and loose sand): Luckily, fixing bad soil isn't hard, as you'll read below. All growing things, including shade-loving varieties, are dependent upon light. Sunlight is a critical component of the photosynthesis of the plant structure. When designing your first garden, an awareness of where sunlight falls is a key factor in deciding which plants to select. Some thrive in full sun but others need partial shade to succeed. So the first step is to discover what exposure you have on your lot. This can be done very easily. Try waking up just before dawn one morning. Look out your windows and look for the direction the sun is rising in relation to your home. Since the sun always rises in the east, wherever the sun is is the eastern side of your yard. The western, or opposing side, will be the hottest area of your garden. If you are still uncertain of your exact orientation, a compass can help you "map" out each area. In order to plan your garden wisely, this needs to be done before the next steps can be completed. A northern exposure is generally the coolest or shadiest side of your lot. But, in hot climates, this doesn't mean you should just select any shade-loving plants. There are degrees of shade: dappled, partial, and deep shade, as well as "warm" shade. A hot climate would call for "warm shade" plantings. Understanding the light elements of your new garden will increase your chances of creating a place of beauty and healthy growing life. It's tempting to try growing a large variety of vegetables. A better approach for a first-timer is to consider what you most like to eat, then narrow the list down to the easiest and most productive crops. Some of the most commonly grown vegetables include tomatoes, lettuce, radishes, peppers, snap peas, green onions, summer squash, and green beans. Vegetables that don't make the list include corn (too much room, too few ears), asparagus (requires waiting a couple of years for the first harvest), and green peas (too limited a growing season). Garden catalogs are your best source of ideas. Once you choose which types of vegetables, pick two or three varieties that seem promising; by growing more than one variety of lettuce, for example, you won't be so disappointed if one doesn't perform well. Then next year, grow the best performer again, and choose another to try. When selecting varieties, pay close attention to the description. Some varieties produce smaller plants that are ideal for small gardens or containers. 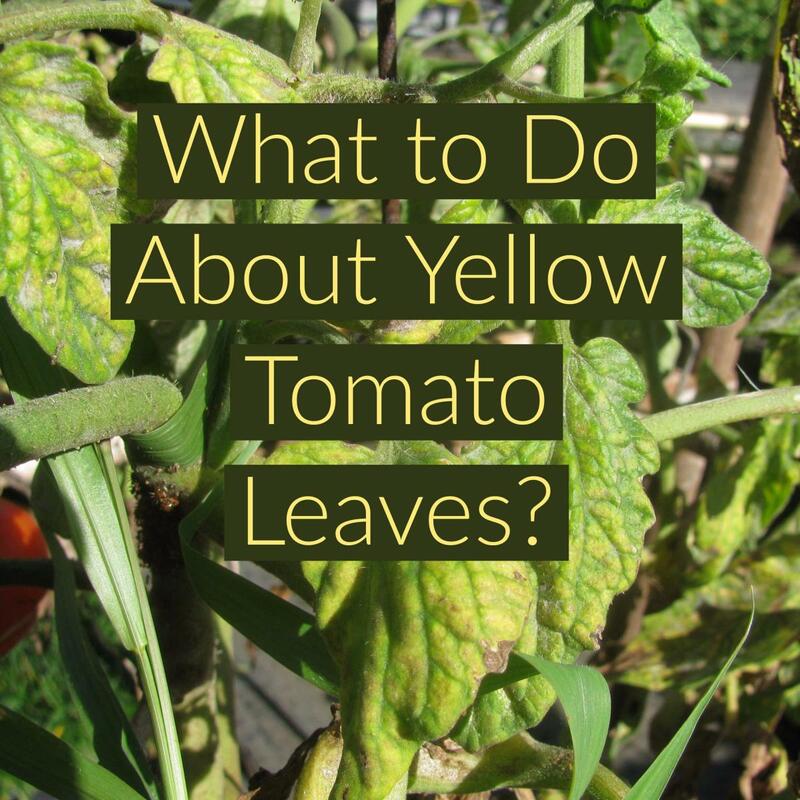 Also look for varieties that are described as disease-resistant. This means planting in single file with a walking path between each row. Row cropping works best for large gardens, and it makes it easier to use mechanical equipment like hoes and tillers to battle weeds. The downside is that it is a very inefficient use of land. Much of the soil area is used for footpaths rather than plants. This means planting in wide bands, generally 1 to 4 feet across and as long as you like. This approach reduces the amount of area needed for paths, but the closer spacing of the plants means that they must be cared for by hand. This isn't a problem with most home-sized gardens. Because of the handwork required, it is important not to make the bands wider than you can comfortably reach. A specialized version of intensive cropping is the "square foot method" developed by Mel Bartholomew. This well-thought-out system divides the garden into small beds (typically 4 x 4 feet), that are further subdivided into one-foot squares. Each one-foot square is planted with one, four, eight, or 16 plants, depending on the size the plant will be when it's mature. Bartholomew's book, Square Foot Gardening, is the Bible for this method of gardening. Whichever method you choose, start small. A 10 x 10 foot space is a good size for a first garden. Plan your garden on paper before you put shovel to earth. Allow at least 18 inches between rows or beds for easy access. As you sketch out your plan, place taller vegetables at the north side of the garden. This includes naturally tall plants— like standard-size tomatoes— and plants that can be grown on vertical supports, like snap peas, cucumbers, and pole beans. It also makes sense to leave some areas unplanted at first. This allows you to plant a second crop to harvest later in the season. Lettuce, radishes, green onions, carrots, and bush beans are commonly planted several times during the season. If you choose to plant in the ground rather than in raised beds, you'll need to loosen (till) the top 6 to 12 inches of soil. Large power tillers can grind the sod into the soil. If you choose to dig by hand, you'll need to remove the sod instead. Use a sharp, straight-edged shovel to score the turf then pry up the sod. After the sod is removed, begin loosening the soil by digging and turning. Work small sections, breaking up large clods as you work. Once the soil has been loosened— either with a tiller or by hand— spread your amendments (fertilizer, compost, etc.) and work them into the soil. This can be tough work if you do it by hand, but the more thoroughly you work the soil, the better your results will be. Avoid stepping on freshly tilled soil as much as possible. If you must cross a tilled area, use planks or pieces of plywood to distribute your weight. Otherwise, you'll be compacting the soil and undoing all your hard work. When you're done digging, smooth the surface with an iron rake, then water thoroughly. Allow the bed to "rest" for several days before you begin planting. Some vegetables can be grown only by putting seeds into the soil. Carrots and beans are two vegetables that require "directed seeding." You place the seeds at the recommended depth, water thoroughly, then wait for the plants to emerge. In most cases, you'll plant extra seeds to account for some not germinating, then thin out any extras after the plants are up and growing. Many vegetables can be started early indoors or purchased already started from a garden center. The benefit of this approach is that you can have a crop ready to harvest several weeks earlier than if you start with seeds in the ground. Starting vegetables indoors is not difficult, but it does require some time and attention. 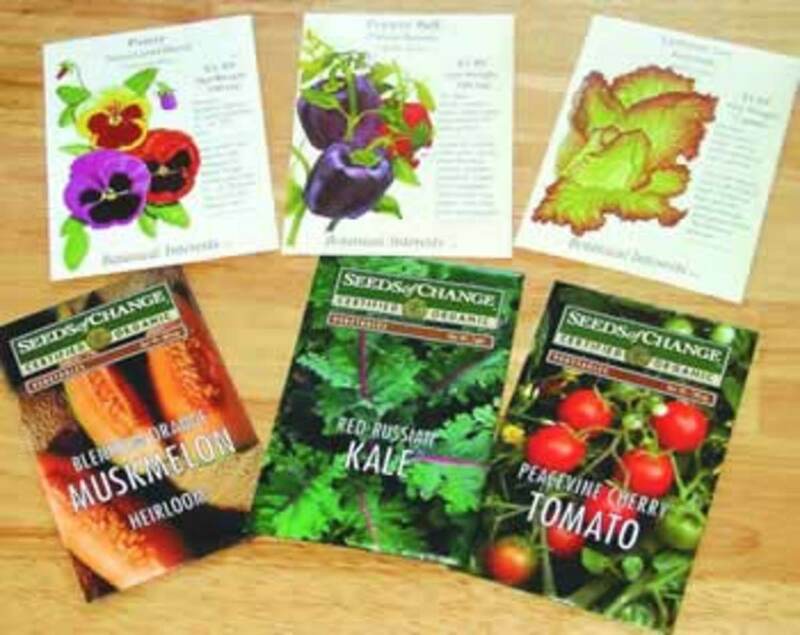 Seed packages list the options you have for planting that particular seed. Weeds compete with your vegetables for water and nutrients, so it's important to keep them to a minimum. Use a hoe or hand fork to lightly stir the top inch of soil (cultivate) regularly to discourage weed seedlings. 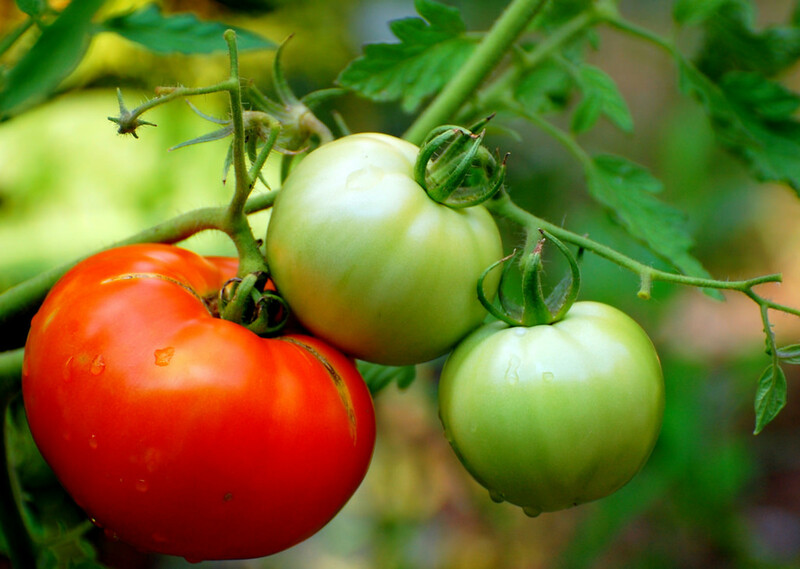 A mulch of clean straw, compost, or plastic can keep weeds at bay around larger plants like tomatoes. Fertilizing your crops is critical to maximizing yields. 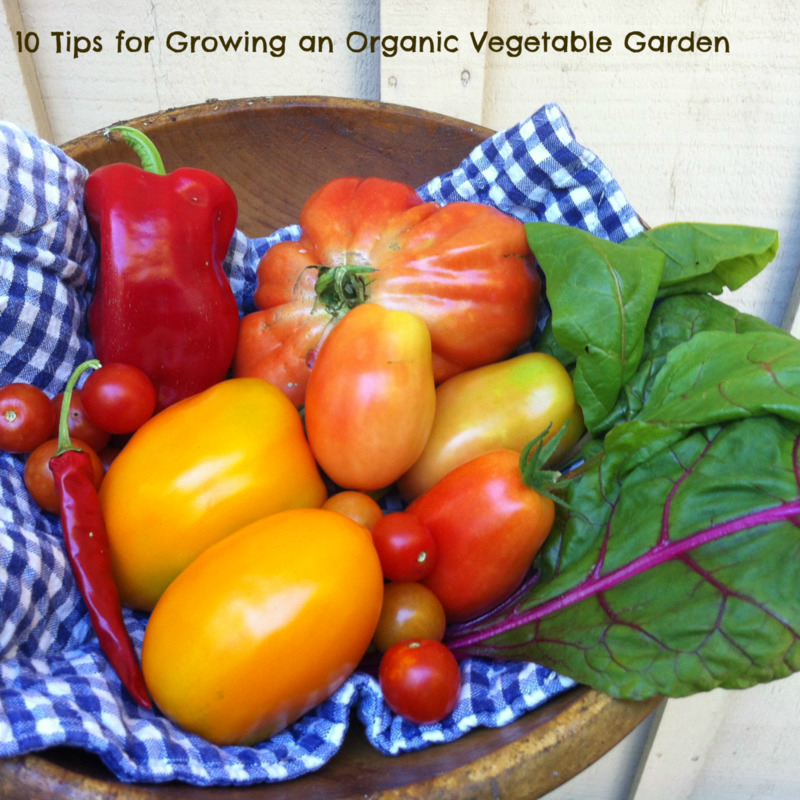 Organic gardeners often find that using high quality compost at planting time is all their vegetables need. Most gardeners, however, should consider applying a packaged vegetable fertilizer, following the directions on the box or bag. Don't apply more than recommended, as this can actually decrease yield. Use fences to deter rabbits. Make sure the bottom of the fence is firmly attached to the ground, or even buried a few inches into the soil. Row covers— lightweight sheets of translucent plastic— can protect young crops against some insects. Row covers are also helpful to prevent damage from light frosts. To reduce fungal diseases, water the soil but not the leaves of plants. If you must use a sprinkler, do it early in the day so the leaves will dry by nightfall. If a plant does fall prey to a fungus, remove it promptly and throw it in the trash; don't add sick plants to your compost pile. Grow varieties that are listed as disease-resistant. Garden catalogs and websites should tell you which varieties are the most immune. Pick larger insects and caterpillars by hand. Once you get over the "yuck!" factor, this is a safe and effective way to deal with small infestations. Use insecticidal soap sprays to provide safe control of listed pests. Most garden centers carry these products. Whatever pest control chemicals you use, read the label carefully and follow the directions to the letter. Finally, make it a habit to change the location of crops each year. In other words, if you grew tomatoes in the northwest corner of your garden this year, put them in the northeast corner next year. This practice, called crop rotation, reduces the chance that pests will gain a permanent foothold in your garden. With many vegetables, the more you pick, the more the plant will produce. This is what it's all about, so don't be shy about picking your produce! Many vegetables can be harvested at several stages. Leaf lettuce, for example, can be picked as young as you like; snip some leaves and it will continue to grow and produce. Summer squash (zucchini) and cucumbers can be harvested when the fruit is just a few inches long, or allowed to grow to full size. The general rule: if it looks good enough to eat, it probably is. Give it a try. With many vegetables, the more you pick, the more the plant will produce. There are so many seed options, it can be hard to know what to choose and from whom to purchase. Because there are so many online vegetable seed companies to pick from, the choices can be overwhelming. 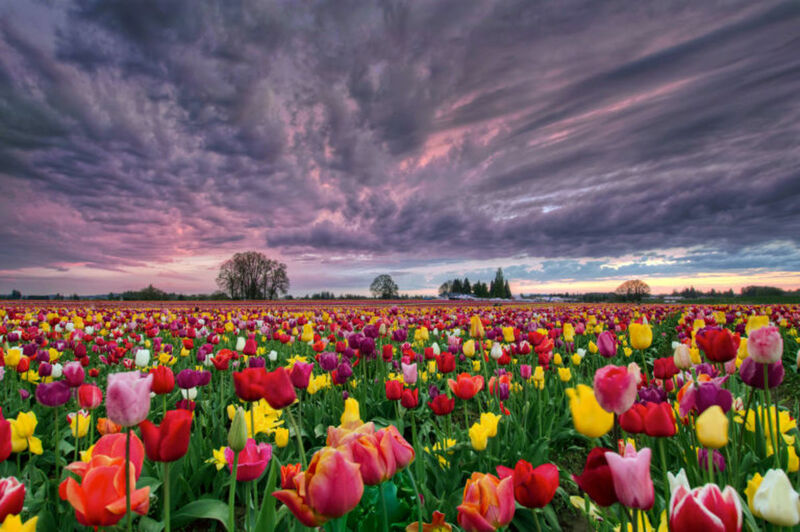 And if the snow is piling up outside, it may be hard to believe that spring is coming, but trust me it is. Here in North Carolina, I have greenhouses so I'm planting almost year round. Even in winter, you can be going through seed catalogs and picking out what you want to plant the coming year. If the ground can be worked, you can be preparing the soil for the coming planting season. 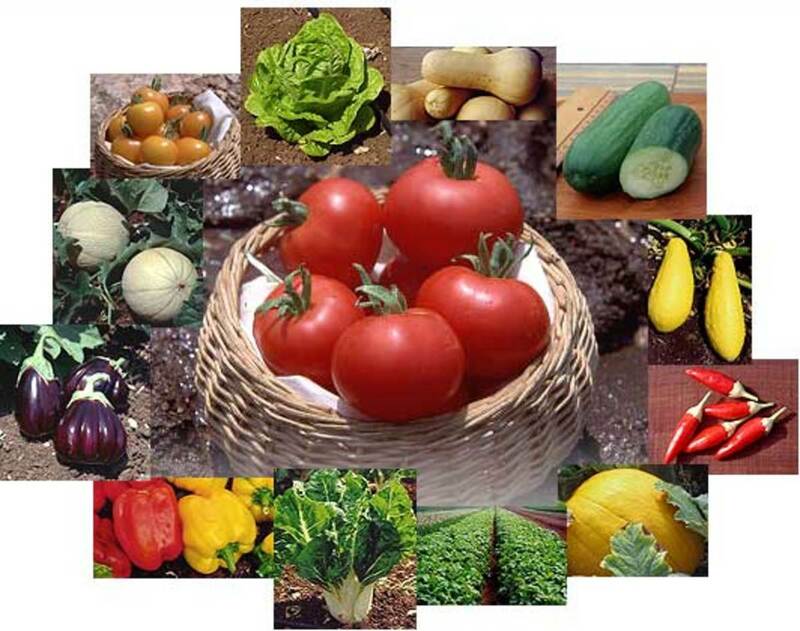 Buying vegetable seeds online can be a very good choice. Many companies do not package their product ahead of time, which helps the seeds stay fresh longer. Likewise, many stores will ship the next day so you are guaranteed quick and fresh delivery. Online, you will find a very large selection of seeds that you may not be able to find at your local store. Even greenhouses or nurseries cannot provide a comprehensive array of options. If you are looking for that rare organic tomato seed, chances are you can find it online. Most online vegetable seed companies offer some type of warranty. Some say that if a seed does not produce within a certain time frame, they will refund your purchase price or replace the item. This is the most common type of warranty you will come across. Other guarantees say that they will refund your money if you are not satisfied for any reason. Regardless, make sure you understand the terms before you buy. Prices are usually fairly comparable, but check a few things before you purchase. See how much you are really getting. Some sites may be cheaper, but they may be selling a lighter weight. Also be aware of the quality of the seeds. For example, heirloom seeds produce the best-tasting tomatoes. There are a lot of different types of the same vegetable. Be sure you are comparing the exact same vegetable or you will not be making an accurate comparison. Have an idea of the type of vegetables you would like to plant. Do you want an eclectic collection of classics and exotics? Are all organic vegetables your thing? Or do you just want an old fashioned vegetable garden with the cooking staples? Whatever you choose, you can find a company that will cater to your preferences. Just go on the internet and search for seed catalogs. Make sure that you patronize a reputable vegetable seed company. If you are unsure about where to start, ask your friends where they get theirs. If you know someone in the neighborhood who has a great garden, ask them if they have any recommendations. Another way to get tips is to join an online gardener's chat group. Gardeners are always willing to help someone who is looking for advice. 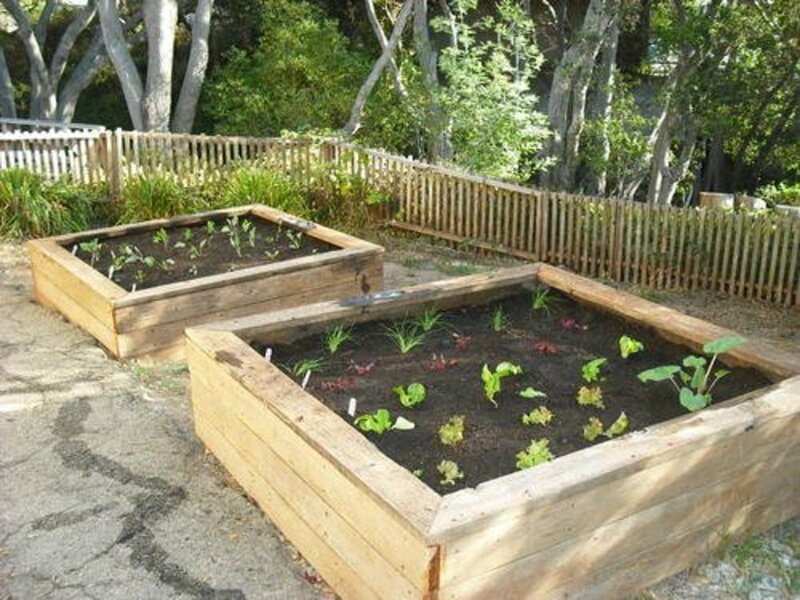 Starting a vegetable garden can be an immensely rewarding experience. Have fun with yours, but don't forget the things we talked about. They can save you time and frustration later on. Planting your first vegetable garden is always an exciting event. Visions of red, ripe tomatoes, crunchy green peppers, and sweet, sweet corn dance through your imagination. And nothing tastes better than hot, buttered summer squash with a dash of salt and pepper. Sun: In order to fulfill the promise of each tiny seedling, a little planning is necessary. Vegetables have very particular sun/shade needs, along with individual soil conditions. The first thing you need to learn is how much sun each veggie requires. Growth habits: Some vegetables are indeterminate and sprawl all over the place, bearing multiple crops. Cucumbers, squash, melon, and vining tomatoes fit this category. The indeterminates can be staked or trained up fences and trellises to save room. Under ideal conditions, they can be prolific bearers, so it’s important not to overplant. Determinate plants are much bushier in their growth habit and only bear one crop. This makes them ideal for small spaces or containers. Bush tomatoes, squash, cucumbers, and certain melons fit this class of plant. Soil requirements: Prepare the soil in the beds ahead of time. Be certain all rocks, debris, and weeds are removed. Using black plastic as a mulch around cucumbers and melons helps keep wet soil away from leaves and helps speed ripening. Once the bed is prepared, lay the plastic down and cut openings to place the plants in. Cucumbers are very prone to mildew from wet leaves, so this method really helps. See the section below about preparing the soil. Water needs: Always water new starts as soon as they are all planted to get them off to a healthy start. I recommend feeding them with fish emulsion to help them establish better. 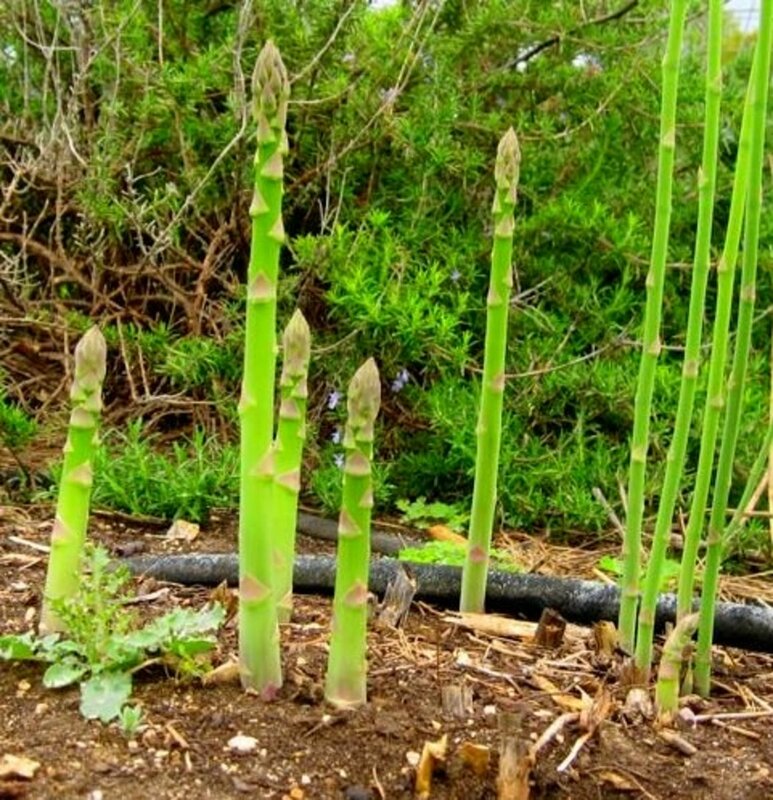 If you don't let them dry out or become weed-choked, you will have bigger, healthier plants. Here, we'll cover all aspects of building great garden soil, from understanding pH to learning about different soil types, amending, composting, and side dressing. This is the true key to having a great garden. Taking the time to analyze and understand your soil composition will give you valuable tools four maximizing your production. If you are a new homeowner, facing a bare lot, this becomes especially crucial. Think of the lot as an empty palette, just waiting to be filled with bright color and texture. Before doing anything else, remove all debris and rake smooth. Any weeding should be done before the soil adjusting gets started. Using a level, look for low spots. These need to be filled in to avoid swampy, boggy areas. Use only sterile topsoil for this purpose, because you don’t want to introduce soil-borne disease or pests. Once the leveling is done, and necessary drainage created, you can then begin to work your soil. A rototiller is a gardener's best friend. Even a small yard will benefit from the aerating and loosening these machines provide. The Troy Built or Mantis tillers are compact, easy to use, and help prevent back strain by doing the heavy work for you. Use the tiller in stages: The first week, make several passes through the soil to begin the loosening process. The following week, add your chosen amendments and till in again, making several passes. You will feel the soil resistance begin to lessen as you go through the garden over and over again. The third week, remove any large clods, stones and debris. Run the tiller through again. Stoop down and feel the soil. If it has reached a good, earthy texture, you are ready to begin planting. If it is still not right, go through the soil with the tiller again a few times. Rake the area smooth, water lightly to dampen, and you are ready to go. What type of soil do you have? Is it adobe? Too sandy? How can you tell? Pick up a handful in your hand and squeeze it lightly together. Feel the texture as you're doing this. Is it heavy and cold? Does it feel gritty or sandy? Now open your hand and release the soil. Does it fall apart completely? Does it remain in a hard cold clump? Answering these questions will tell you what type of soil you are dealing with. Ideally, your soil should be slightly crumbly. It should hold together when gently squeezed but come apart easily. This is the good earth we all dream of and work so hard to achieve. Simply tossing bags of premixed soils on top of the underlying soil isn’t the solution. Heavy clay soil is the bane of a gardener’s existence. With its tough, seemingly impenetrable nature and its tendency to compact and choke off roots, it can cause real problems in the garden. There are several degrees of clay, from the adobe-like concrete that is next to impossible to work with to a lighter clay, which benefits from amending. If you have a true concrete type clay that softens very little, even with watering, raised beds are the perfect solution. Lighter clay soils benefit from products like GreenSand or gypsum that work to break it up. Using a rototiller and working it over and over again, then adding amendments like peat, compost, and garden sand will help bring it close to ideal. You can rent tillers from local equipment centers. Is Your Soil Acid or Alkaline? We expect a lot from our gardens, including beautiful, prolific blooms and bountiful harvests. Yet how many of us really stop to consider the soil? Do you know anything about your own dirt? Is it acid or alkaline? Peaty, sandy, or clay? Why are these questions important? 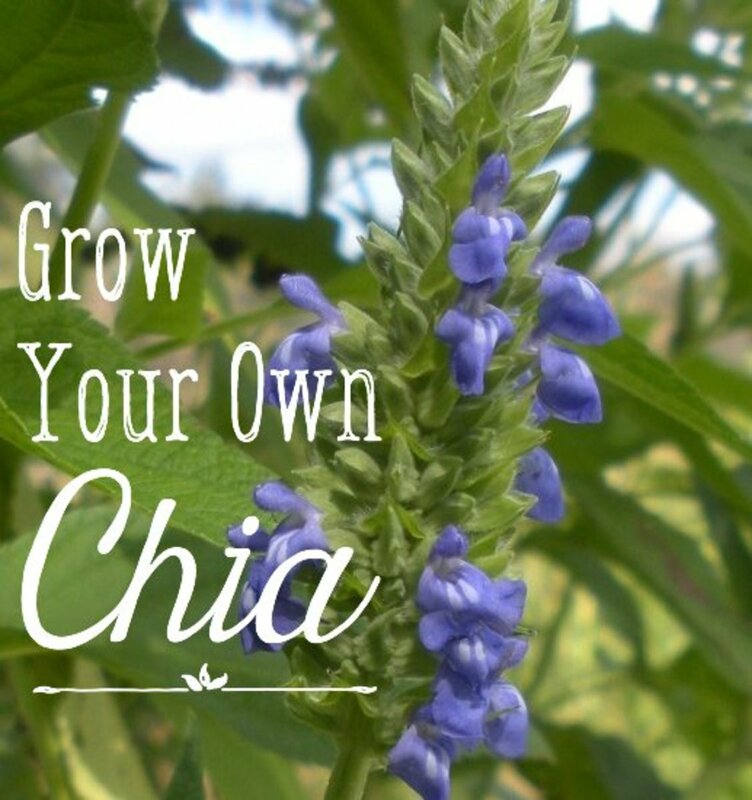 Because a plant's growth depends on the health of your soil. Remove any loose organic matter in the top one-inch of the soil. With a spade or hand trowel, take samples 6-7 inches deep. Do this in six locations for every 1000 to 2000 sq. ft. Mix these samples in a bucket and use about 1-2 cups for testing. These kits generally consist of a test tube, some testing solution, and a color chart. You put a sample in the tube, add a few drops of test solution, shake it up, and leave it for an hour or so to settle. The solution changes color according to the pH of your soil. Compare the color of the sample with the color chart that came with the kit to determine the pH range of your sample. The better kits will also include advisory booklets about how to interpret your results. Now that you have a fairly good idea of what the pH is, you can begin to amend the soil to suit your particular planting needs. If your soil’s acidity is too high, adding dolomite or lime will bring it back into a more alkaline state. To acidify alkaline soil will require adding garden sulfur to sour the soil. Plants that thrive in an acidic environment include gardenias, azaleas, rhododendrons, pines, raspberries, and many tropicals. They may also benefit by feedings with an acidifier like Miracid, at least once a month. Sand is great for beaches and deserts, but in our gardens it can spell real trouble to plants. Soil that is too loose drains so fast that water never reaches the roots. As a result, the plants die off very quickly. So, unless you are a big fan of desert plantings, some adjusting needs to be done to correct this problem. One way to tell if your soil is too sandy is by feel. It will have a gritty texture that is very different from the loamy, earthy feel of ordinary garden soil. It will not hold together after compacting, but immediately falls apart. This should be spread over the garden or planting areas and tilled in 6" to 8". Once this is done, the garden is ready to plant. In about two to three months, add 3 lbs of alfalfa meal, digging it in to the first 6” of topsoil. You should begin to notice earthworms tunneling through the dirt. If not, buy them and release them to work their magic. You should see an improvement in your soil within the first year. By the third year, you will have the garden soil you want. The soil will be rich in texture, dark in color, and will hold moisture very well. Please post your comments below. Negative comments will not be approved. I want to establish vegetable farm, but then what are the things I should have to do in order to establish???????????????????? Great info. Lucky for me, planting vegetables in the garden is not a new concept. We group where our parents planted tomatoes, eggplants, and other assorted vegetables in the same garden where we played in our swing set. Cut little pieces of row cover and use them to just wrap the vine itself. Do this before you plant, so that the covered section of the vine extends below the soil line; and add more wrapping as the vine grows larger. I believe the tin foil will burn up your squash plants. Use clear plastic or cling wrap instead and extend it an inch or two under the ground. But the most reliable cure may be to grow your squash out in the open and use vigilance to get the eggs. You may not be able to see them, but a weekly spray of the vine with insecticidal soap will smother them nonetheless (use a commercial product, not home-made; there is a fine line between beneficial soap and plant-killing herbicide). Be sure to turn the squash plant over and only do this after the sun has set or before it comes up. What do you recommend for Squash Vine Borers? I was thinking of changing out my dirt since my garden is small - will that help? Next I was going to wrap the first 10 inches of vines with aluminum foil. Then spray the base of the plant with the Rotenone Pyrethrin spray. HELP! Excellent hub. I have been going to start my own veg garden and this year decided that it is time, this info is a great help thans. Having an own vegetable garden or kitchen garden becomes a dream of each and every household. Where we can make good savings by reducing our expenses on vegetables and other supplements we buy from markets, we can also make an environment-friendly atmosphere around us as such a garden prevents the emission of poisonous gases and substances present in our surroundings. From green salads to seasonal veggies, we can experiment and grow a vast range of choices in our little farmhouse as per requirements of our daily needs. Many thanks to this hub which provides us such a great content with full description. Thank you. Thanks for the info, very helpful...can you give ideas for the best tomatoes to plant? What to plant in a spring garden? cant wait to get started still dont know what to plant in september though may be a bit late . guys , i want to go into farming business and want to do green houses on 1000 meter altitude . what kind of vegetables can be planted there or flowers? anyone profetional can help mein this issue . Great hops! Thanks for the gardening tips. They are indeed useful. Two thumbs up for a great article. you presented and discussed the topics in an orderly manner. It is indeed very informative. keep it up! My children are planting a first time vegetable garden to donate what grows to local food pantries. Thanks for the info on how to get started. We eat a lot of tomatoes, green peppers and onions, so I thought those would be the perfect starter veggies. Zucchini, too, but because they are so abundant, and there are only two of us normally here, I don't think planting more than 3 plants is a good idea. Thanks for the ideas, though! One can really learn a lot just by reading your article. It is very informative and easy to read. Beginners would really benefit from the tips you gave out. Thanks! Carrots will grow in the winter in the deep south of the United States. Mulch them heavily with straw. They will be sweeter in the winter. Do carrots grow in the winter???? I luv this!It was so helpful!!!!!! I love this site!!! I am 14 years old and i need to start a veggie garden for a school project and this has helped a lot!! !Thak U!!!!!! The information you give here on the layout is very good. The layout is really important (I learned this to my cost) if you get the layout wrong it can all go wrong. 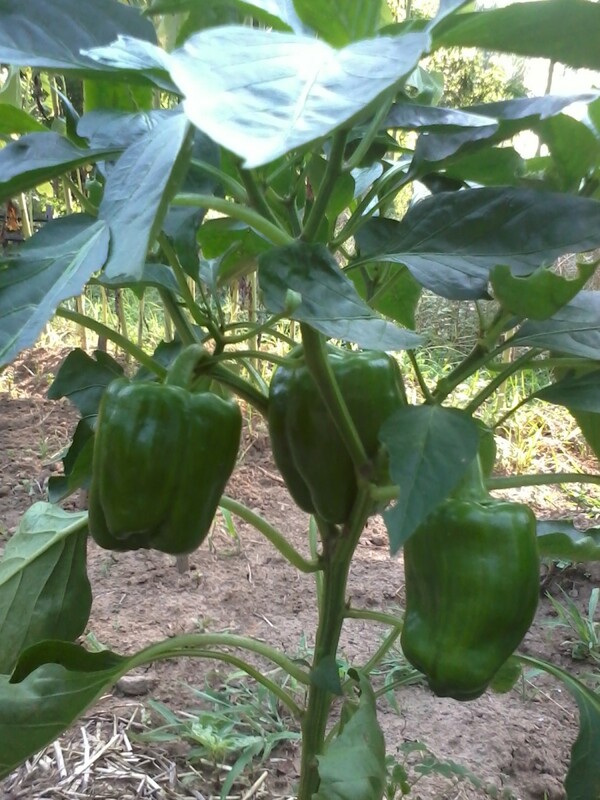 Vegetable gardening is really easy if you know how, but its horribly difficult if you dont know what your are doing. Fortunately when you get it right, it is so awesome to eat your own produce. The first time is just amazing. They taste great too. When we ate out first batch of tomatoes, you would think we were eating manna from heaven. Better than any experience in a 5 star restaurant. Thanks for the great tips. Great tips! Most people don't have the time to grow their own garden, but they should certainly takes notes from you and make time. For those of us in a rush who don't always have time to tend to the garden, I recommend trying a meal delivery service. So true - growing and eating your own veg is such a pleasure and it does, taste SO much better than the shop stuff. This hub is full of great advice and I love the photos too. Yes people do tend to go overboard and plant too many vegetables at first. I suppose it is the excitement of being able to grow your own. What a wealth of information for beginners! Thank you for sharing! It is much to wet. Don't water until the soil dries out a bit. Cucumbers need plenty of water but you don't want to overdo it. We are trying to grow cucumbers and don't know if we are watering too much or they are not getting enough or too much sun. There were many small cucumbers starting to grow and most of them turned yellow/brown and shriveled up. Last year we had many and they grew easily. Our garden is near a south block fence. We get shaded morning sun and full afternoon sun, but this year put up a 3ft high shade to block some of the intense afternoon sun. The soil is clumpy wet over one foot down. Is that too wet? Thanks for help. Lots of info. here I've bookmarked this; although I've been growing veg. for a while the info here could be useful in the future. Thank you. same here i never tried to plant a vegetable garden but now i want to. 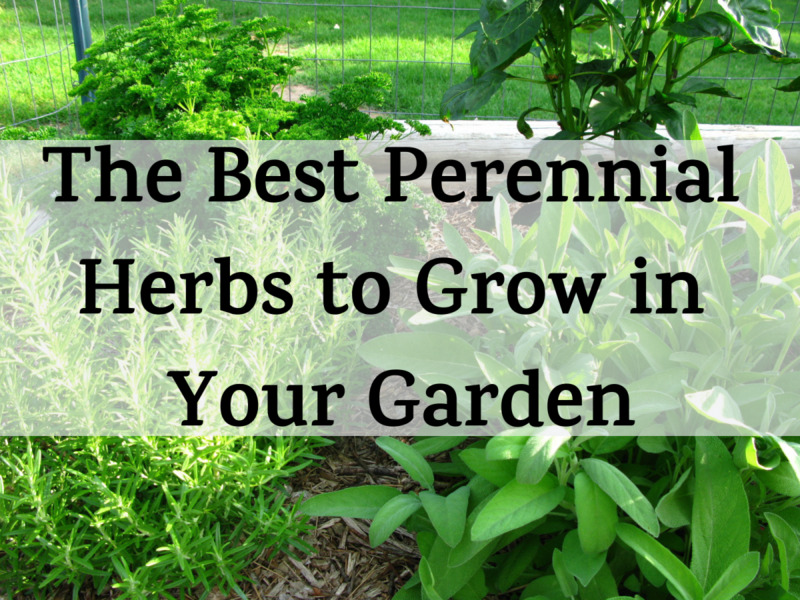 Great content, very helpful being a enthousiast gardener myself you kept my attention throughout the article. Thanks for sharing this. Always go organic, you can't possibly regret it. I have a garden my first one but I want to re-organize it and put a couple of things in different places can I do this? Fantasic hub with loads of great information, I am planting a 600 sq. ft. garden for a church community project and I am bookmarking this hub for future reference. Thanks so much! Excellent hub! If you are starting your vegetable garden for the first time, don&rsquo;t make it too big so you don&rsquo;t get overwhelmed with work. Important advice for first time gardeners is - start small! 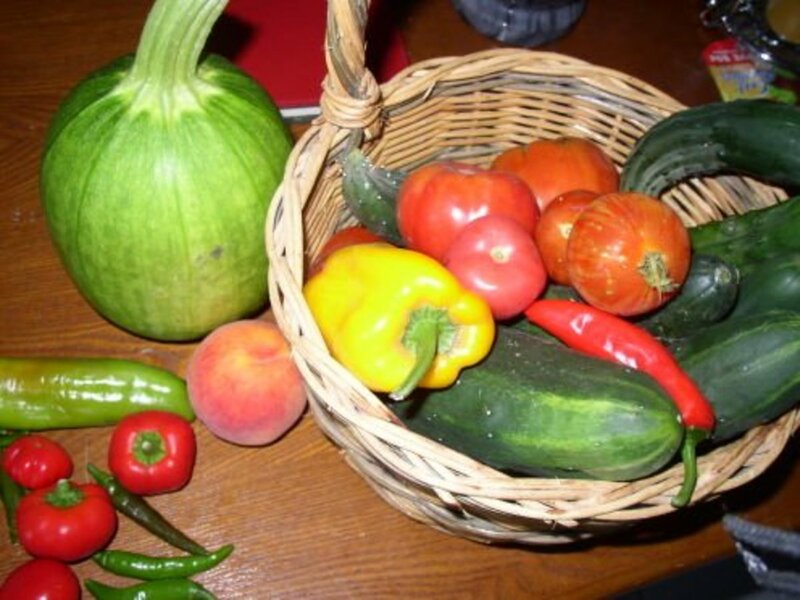 My dad has been into gardening lately, since he retirred from work, and I'm sure, he has lots of information to learn from this hub to improve his vegetable garden, thanks. Thanks for sharing. It is very helpful for those who love gardening works. I would suggest that every steps or subtitle of each garden activity being added with a picture related to that steps. It should be clearer and easier to do practice. Great guide anyway. Oh my goodness what a wealth of information! This has encouraged me and helped so much. I am planning a small raised garden this year with my 4 year old, just the stuff we love. I have bookmarked this page and will be using it for reference quite a bit! Thank you! Thanks so much for the gardening help. I plan to make raised vegetable garden with my boys this Spring. More excellent gardening tips, thank you! I am anxious to begin my 1st garden experience with my two young children. Not only will this be a wonderful way to spend time together and have healthy food, but also be one small part to help with global warming! I am struggling with the location of my garden. Can you please help me? I read the tips, but am still unsure. We have a very large lot. The yard also has a slope to the southeast. Closer to the water source and house the land is more flat, however this spot is right in the middle of our yard. Thank you for all the info. I can't wait to start getting my hands dirty. Thanks for the very clear info. Have you written a book? I am so excited to garden for the first time with my Son - he is two thanks for helping us out ! You are the best! Thanks for all the comments. They are really appreciated. I really enjoy my vegetable garden every year. I have been going to start my own veg garden and this year decided that it is time, this info is a great help thans. Hi- This is really useful, thanks. Can you give some advice about walking paths for people who use rows? I need to make sort of a U-shaped path in my garden (strawberries &quot;inside&quot; the U, vegetables planted all around perimeter. I was going to buy paving stones but it was really expensive. Would mulch work or is that unwise if we're going to be walking on it all the time? This is a very complete hub for such a wide ranging topic. Great hub for the beginning gardener. I have never had a green thumb but the quality of homegropwn is just so very much better than the rubbish u buy in the supermarket I am almost tempted! thank you so much 4 the great tips.. this is exactly what i needed and now i am confident i can do this gardening thing.. you are a big help.. Your very welcome. Glad it helped. Where have you been all my life? I love this hub! We're new to gardening in Arizona and loving it. There is a LOT of really useful information here. Thank you!